Fortifying your home security doesn’t mean you have to make your home look like a fortress. 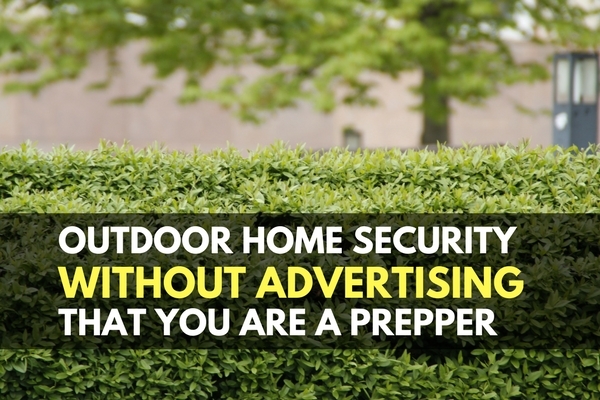 The best security is actually when your home doesn’t look like a fortress. Practical softscaping, hardscaping, and few other tricks can keep would-be intruders at bay better than a moat. Gates, long driveways, and other means of obscurity can go a long way in deterring intruders. This is great to consider when you are buying a house, or selecting a SHTF bug out location. If you are already in a house with no plans to move, you simply have to work with what you have. The best layout would include a house that cannot be seen from any entry point into the property. A gate, perimeter fence, surveillance method, and a mix of hardscaping (man-made features) and greenery should be put in place for effective deterrence, detection, and response. 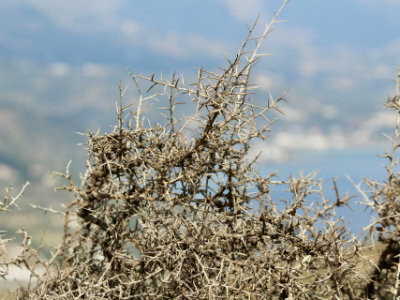 This last two don’t have thorns, but actually have sharp leaves for deterrence which can be equally as effective. Planting these in front of ground level windows is particularly effective. Man-made barriers pose a risk of signaling something important inside, but with most homes the benefit is worth this risk. Fences and walls come in different styles and heights- but building a 12 foot fence with razor wire doesn’t make for better sometimes. For one, you may have an HOA or public perception to deal with. Secondly, this definitely signals that there is something worth protecting within the fenced area. Striking a balance between function and form is key here so the fence or wall looks commonplace but still is effective at keeping out intruders. We talked about this topic recently when we discussed Disney’s Go Away Green scheme. Psychology plays a big part in what colors people notice. For instance, it may not be a good idea to paint the entryway to your supply shed bright yellow or red. Greens and other colors that blend in with your home and landscaping are best to use to conceal possible entry points to your home. Traps have been glorified in movies as the go-to for security. Whether you are watching Predator or Home Alone, the hero always tricks the bad guy with a clever trap. Unfortunately, if you spring a Vietnamese punji pit on somebody in your yard, you could land in some deep trouble. Setting up traps to intentionally harm people on your property is not only illegal; it can draw even more attention to you than the protection it affords. Measured, discriminate force is a better safeguard than an indiscriminate trap that could maim or kill an innocent child or pet. It’s not a good plan, and your time is probably better spent on other types of survival knowledge. “Fake it till you make it” is a great motto if you are just starting out with security. “Beware of Dog” signs, well known security company signs, and automated lights can be a cheap way to bolster your security. These are all easy to implement and do not make your home or apartment stand out from your neighbors. A few other common sense techniques include not stashing keys under rocks or doormats and actually locking the doors to your home and cars. A whopping 7% of Americans don’t lock their doors, and 18% of Americans have a key hidden where it is accessible outside. 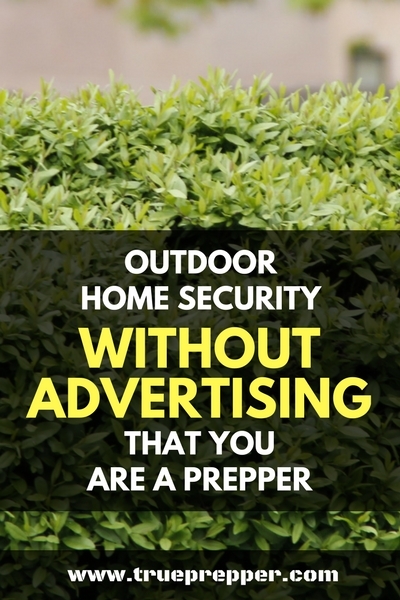 Advertising that you are a prepper can be just as dangerous in some situations as not being prepared at all. Protecting your home in a low-key manner is preferred for most people. You can save the heavy duty, ‘more creative’, and hazardous outdoor fortifications for the off grid bug out location. Don’t identify your property as a resource target by stringing up razor wire everywhere. Keep exploring, stay prepared, and be safe.